The Esperance Shire Council, is located on Western Australia's southeast coast, about 725km from Perth by road, Esperance is one of the most progressive and modern country communities to be found anywhere in Australia. The Shire has an area of 43,000 sq km, giving the region one of the lowest population densities to be found anywhere. 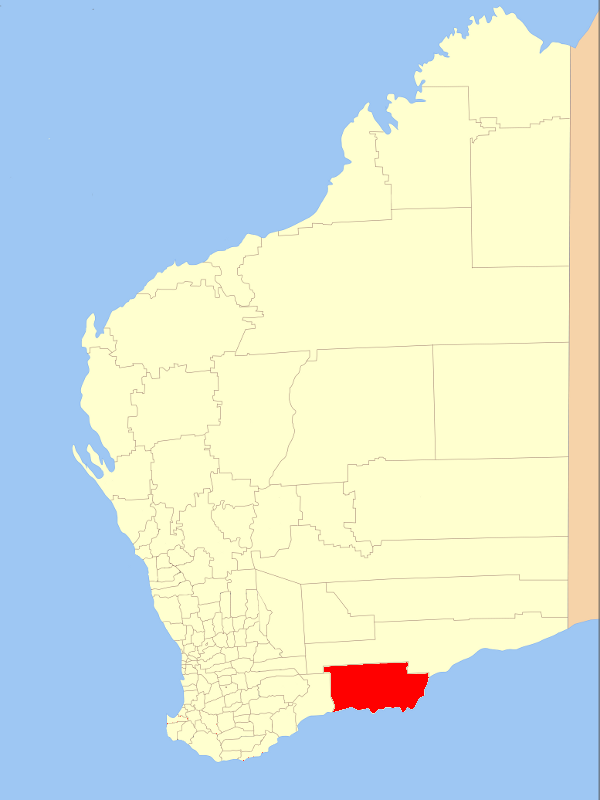 It extends from Munglinup to Israelite Bay and north to the Daniell rail siding. It includes over 400km of coastline, which ranges from gently undulating bays and picturesque islands of the Recherche Archipelago , to the spectacular cliffs of the Great Australian Bight. It has a population of approximately 15,000.